Chinese stocks opened lower on Tuesday after the country\'s exchanges started seeking opinions on index circuit breaker.The benchmark Shanghai Composite Index opened down 0.84 percent at 3,054.44 points, Xinhua reported. Chinese stocks opened lower on Tuesday after the country's exchanges started seeking opinions on index circuit breaker.The benchmark Shanghai Composite Index opened down 0.84 percent at 3,054.44 points, Xinhua reported. The Shenzhen Component Index opened 0.93 percent lower at 9,898.64 points. The ChiNext Index, tracking China's NASDAQ-style board of growth enterprises, opened 0.94 percent lower at 1,875.67 points. 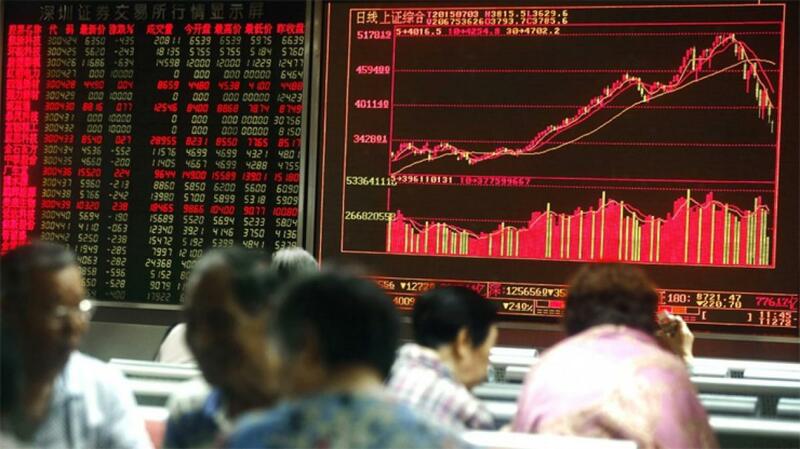 China's stock exchanges on Monday began soliciting public opinions on an index circuit breaker system, which would suspend trading temporarily in response to substantial rises or drops, according to a draft regulation posted on the website of the Shanghai bourse. Meanwhile, the ministry of finance announced on Monday that Chinese investors holding a stock for more than one year will be exempted from a five percent dividend tax from Tuesday.